Home News Energy abundance: Bad news for Republicans? Energy abundance: Bad news for Republicans? When gas prices go down, does Republican anger go up? Republicans have had to watch from the sidelines as the Obama White House has taken political credit for America’s unexpected energy boom and tumbling gas prices. Now it has left their presidential candidates scrambling for a way to reclaim leadership on an issue the party once seemed to own. Their apparent answer: calling time on a 40-year-old federal ban on crude oil exports and using the newfound energy bounty to strategic advantage. President Barack Obama’s administration has allowed small exceptions but has said it will not open the door to crude exports as long as the United States is still importing some oil. Even the Republican-led Congress has been reluctant to push too quickly for an end to the export ban, fearing political repercussions should gas prices spike in the aftermath. But several in the ranks of Republican presidential candidates or likely candidates are warming to the idea. Walker’s call was echoed by others in Oklahoma, where powerful oil and gas interests want the ban lifted. New Jersey Governor Chris Christie, who has yet to formally declare, said exports would lead to “a more peaceful, more stable world when other countries are not relying on Iran and Russia for their oil.” And former Texas Governor Rick Perry called for faster approval of liquefied natural gas exports, vowing to “flood Europe” with it if elected president. That kind of talk upends the past politics of energy scarcity, perhaps most famously expressed by the “drill, baby, drill” mantra of the Republicans’ 2008 vice presidential candidate, Sarah Palin. Drilling in Alaska and off-shore waters was seen as a way to boost America’s fossil-fuel reserves and curb dependency on foreign oil. But that was before the advent of widespread hydraulic fracturing – the drilling process known as fracking – unlocked new domestic oil and gas reserves. The boom in U.S. supply disrupted global oil markets, spawning a sharp decline in prices and lowering gasoline costs at home. The emergence of energy abundance – presided over by a Democratic president who embraced fracking – left Republicans seeking a new cudgel to carve out distinction on energy policy. The notion of ending the export ban found a receptive audience in Oklahoma. Proponents argue that crude exports would be an oil and gas job creator. Low prices have forced the industry to scale back drilling projects and lay off workers but an overseas market would allow it to ramp up production, a point made by Louisiana Governor Bobby Jindal, who is also a prospective presidential candidate. Still, the move carries some risks. Oil refiners oppose lifting the ban because it keeps the domestic crude oil they buy at low prices. 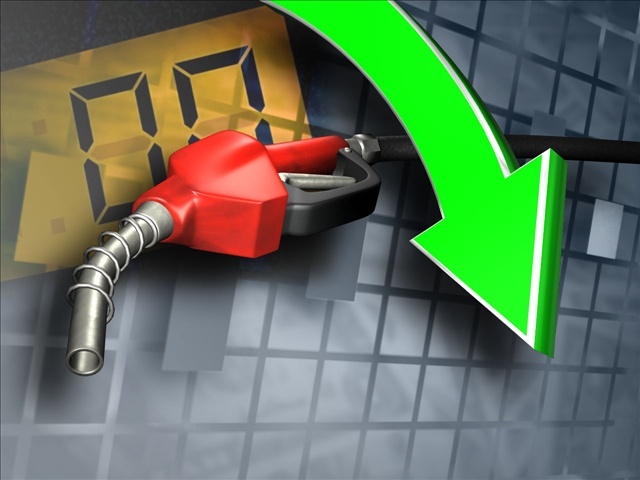 And there is a lingering nervousness in Congress that lifting the ban could trigger a backlash from the public if gas prices spike. Senator Ted Cruz of Texas, a declared candidate, proposed lifting the ban earlier this year but pulled his measure before it could be voted upon. “You open up exports, gas prices go up, and then Congress gets the blame,” said Rachel Pierson, an analyst with Beacon Policy advisers in Washington. Truth be told, the Saudis were blindsided by the oil glut — just like the Russians. Noticeably absent here is the public. I kinda like low energy costs. Heats my house. Fuels my car. That sorta thing.